hat), and Mendel Kremer in white suit (1925). Who was this man? Like the American Colony collection, the Central Zionist Archives (CZA) has many 100-year-old pictures of key events in Jewish history in Eretz Yisrael. One person, however, apparently got past the photographers of the American Colony, usually featured in this space. In several CZA pictures, usually in the background -- Forest Gump-like -- stands a stout man identified as Mendel Kremer. Who was he? 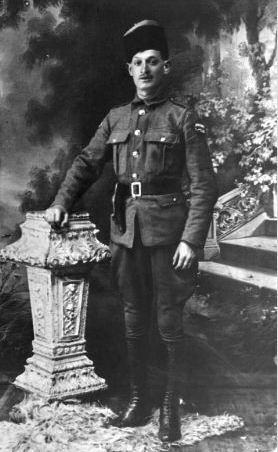 Kremer was an alleged agent and informer who first worked for the Turks and then the British. He was considered a hated moser who turned over his co-religionists to the authorities, according to some accounts. Reports claim that he was directed by the Turks to spy on Theodore Herzl during his 1898 visit to Palestine and was even authorized to arrest Herzl if his presence led to disturbances. In his diary, Herzl noted Kremer's presence. 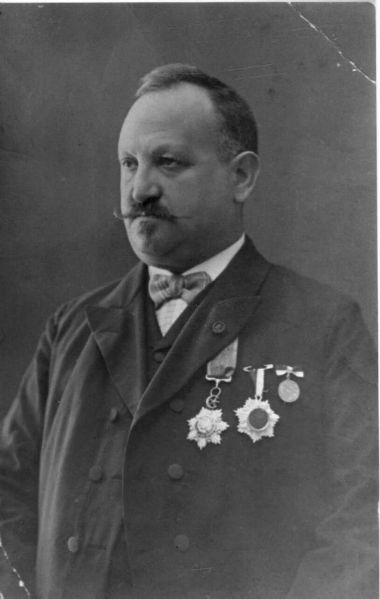 Mendel Kremer was born in Minsk in the 1860s and moved with his family to Palestine in 1873. He opened a pharmacy in Meah Sha'arim in Jerusalem in 1890. Kremer worked for some of the early Hebrew newspapers which probably served him well in providing information to the Turkish authorities. ﻿Dov Ganchovsky, an Israeli journalist and chronicler of Jerusalem stories, suggests that Kremer was actually a double-agent and on occasion assisted the Jewish community. 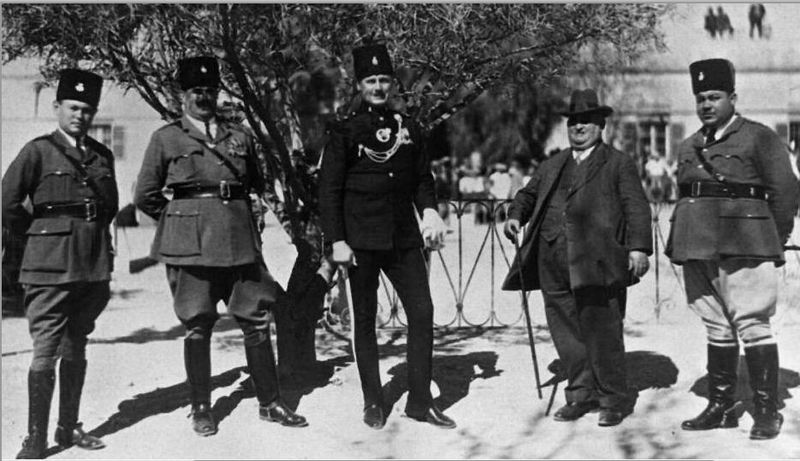 When the Turkish Pasha plotted to kill the manager of the British-Palestine bank, Ganchovsky wrote, Kremer warned the manager and smuggled him out of Jerusalem to Jericho. Subsequently, Ganchovsky recounted, the manager's daughter confirmed the story. A woman claiming to be Kremer's granddaughter also contacted the reporter to thank him for "saving my grandfather's honor." 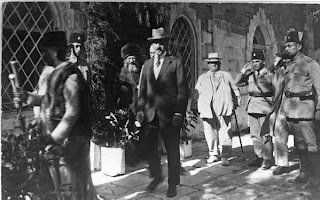 When Kremer died in 1938, the newspaper Davar reported that Jerusalem lost one of its most known figures. 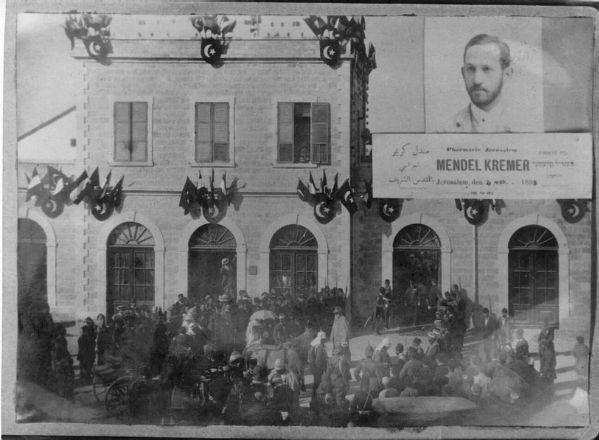 The obituary referred to Kremer's experience with Herzl and his work with the Turkish and British police. The latter attended his funeral. I think the name is spelled Genachowski but it's all phonetic, I guess.